As a Huntsville, Alabama homeowner, you do what you can to keep your home clean and safe. And let’s face it, few things are as important as having a place you can feel secure while awake with your family and at sleep at night. But even the most cautious homeowners can fall victim to unseen dangers. One example is household mold and there are all sorts of places in your home where mold can hide – out of sight and out of mind. Household mold can happen to anyone. The key is taking the right steps to get rid of it as soon as possible. That’s where Huntsville Alabama mold remediation comes in. In 2004, the Institute of Medicine (IOM) found there was sufficient evidence to link indoor exposure to mold with upper respiratory tract symptoms, cough, and wheeze in otherwise healthy people; with asthma symptoms in people with asthma; and with hypersensitivity pneumonitis in individuals susceptible to that immune-mediated condition. The IOM also found limited or suggestive evidence linking indoor mold exposure and respiratory illness in otherwise healthy children. What is Huntsville AL Mold Remediation? “Huntsville AL mold Remediation” is a fancy phrase for fixing a problem and once your specific mold problem has been diagnosed, it’s time for the remediation phase to begin without hesitation or delay. Remember that mold isn’t just ugly, it can be extremely hazardous to your health. That is why we highly recommend that you hire trained Huntsville AL mold remediation experts to deal with it for you. The first step is going over the damp area with a wet vacuum to get rid of the water in the environment. Next there’s the damp wipe, which involves wiping down hard surfaces to remove clinging mold. Third is the high efficiency particulate absorption, or HEPA, vacuum stage. This should removes any remaining mold particles from the area. Finally the mold and everything that was too contaminated to saved must be thrown away. Some steps may be added or removed depending on the particular case. Beyond removing the current mold, it’s also crucial that the cause of the mold is handled as best as it can be. Leaks are one of the leading causes of mold so proper Huntsville AL mold removal includes examining the environment and dealing with problems like leakage. While you can attempt to deal with your mold problem yourself, there are a lot of reasons why you should seriously consider hiring professional help. Proper Huntsville AL mold removal requires a certain degree of expertise and the right equipment. 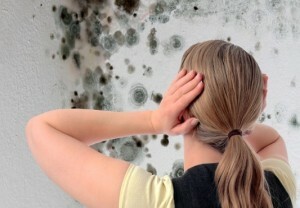 Many amateurs deal with the obvious mold while missing the root causes and further infestation. Hiring a team of EPA-certified professionals may cost a bit more right now but it can mean big savings in the long run. Mold doesn’t just pose a health risk as it grows in your house, it can also pose a danger as you clean it up. Some household molds are toxic, which is why all mold should be treated with the utmost care. Once again, Huntsville AL Mold removal professionals have the right equipment and training to make sure that the whole process goes smoothly and safely. It’s also important to think of proper mold treatment as an investment. If you’re like most people your house is the most valuable thing you own. If you want your home’s value to remain strong or even appreciate over the years you have to make these sort of investments, or else you’ll be very disappointed when the time to sell comes. There’s a time and a place for do-it-yourself work, but when it comes to something as important and potentially dangerous as mold removal your best bet is turning to the professionals. A mold infestation is a risk to your physical and financial health. Prompt and decisive action is key if you want to limit the damage. The Radon Solutions & Services team are Huntsville AL mold remediation experts who are ready to answer the call. Don’t delay one minute if you suspect household mold contamination. If you have any questions, or would like a Huntsville AL mold inspection, please give us a call today at 256.539.7236, send us an email to joey@radonss.com or request an appointment online for testing. Should I Use Bleach to Clean up North Alabama Household Mold?